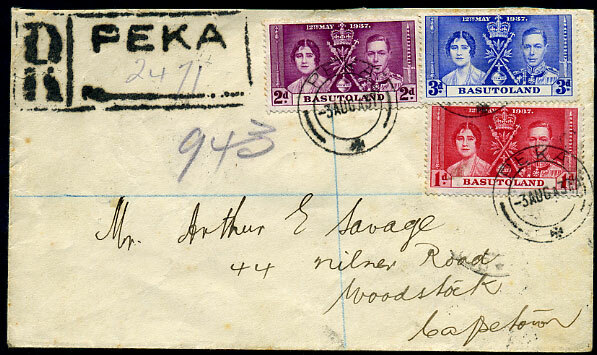 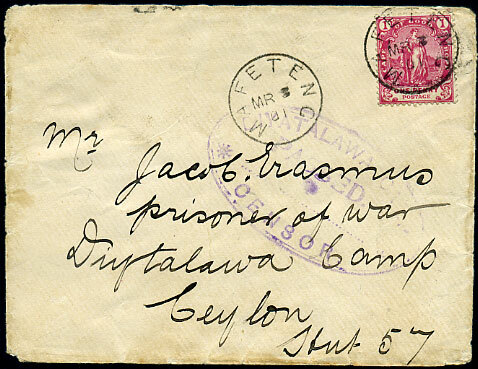 MR 3 01 on CGH 1d (SG.59a) cover with DIYATALAWA CAMP AP 19 01 arrival b/stamp, slight edge soiling. 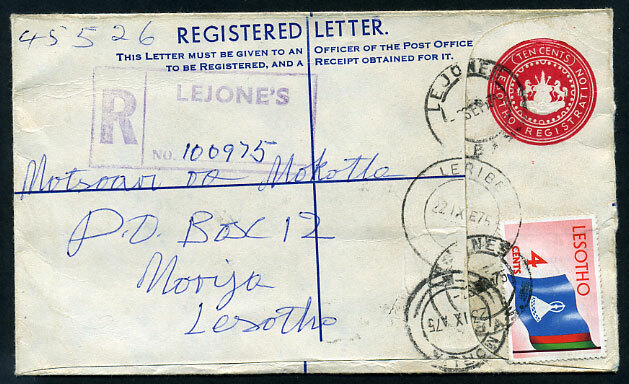 PSRE with added 5 x ½c dated 2 DEC 69. 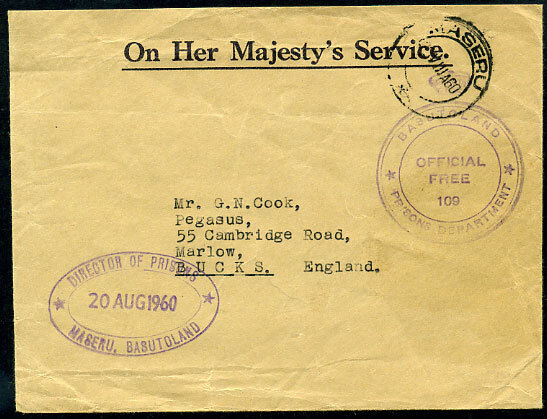 10c PSRE with added 4c dated 23 SEP 75. 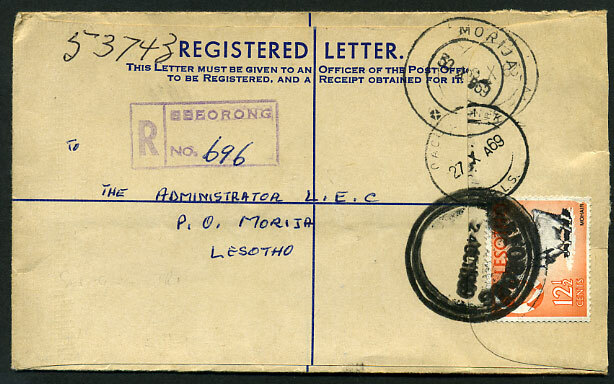 10c PSRE with added 2½c dated 23 VII 69.
dated 24 OCT 1969 on plain PSRE with added Lesotho 12½c (corner fault) locally addressed. 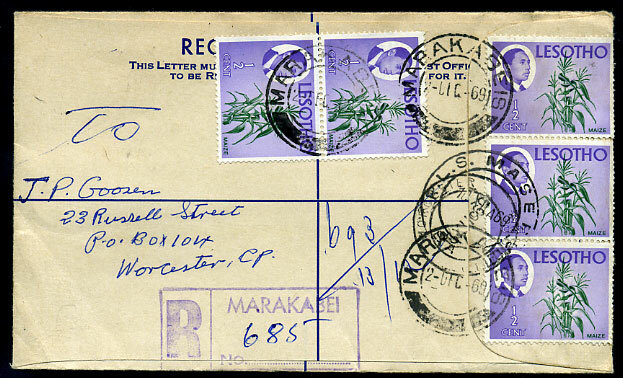 cachet dated 20 AUG 1960 on stampless OHMS cover. 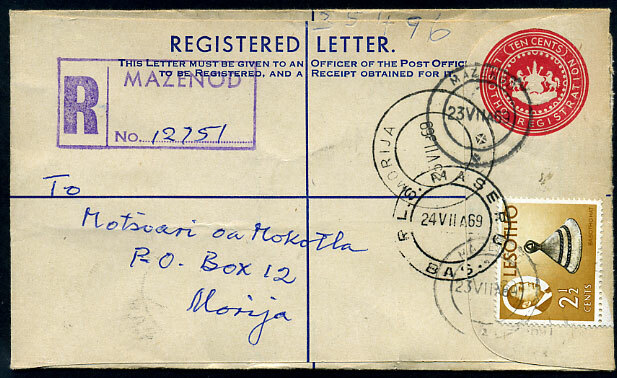 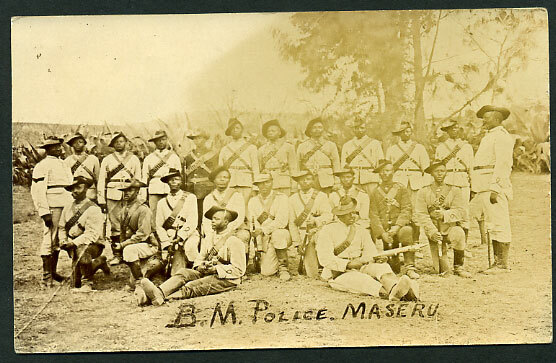 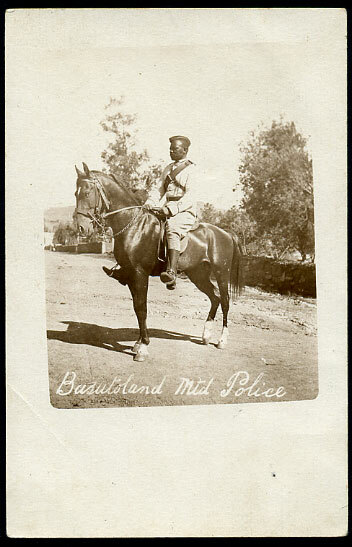 chrome Post Card unused (Paget Prize Self-Toning). 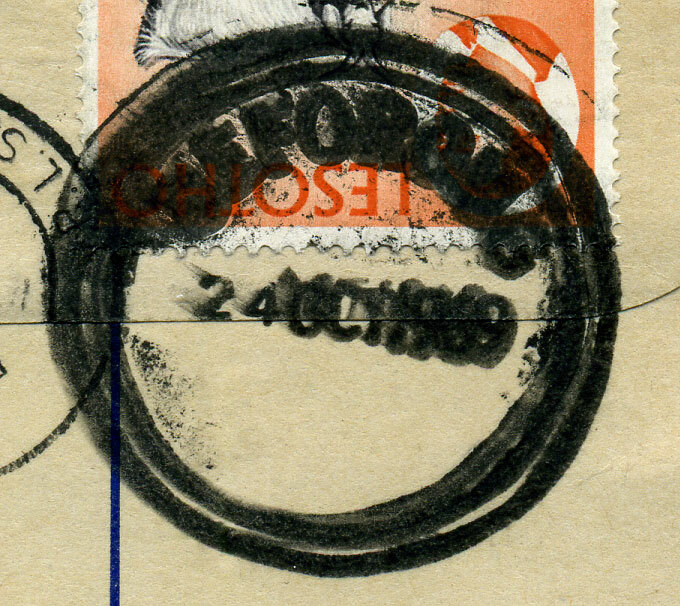 undated chrome ppc with no reverse printing, marked No.12 in ink.